As you read this, the entire fabric of laws and regulations governing logging and land management on federal lands is under attack from a bill moving through the U.S. House Committee on Natural Resources and the Environment called the “Resilient Federal Forests Act of 2017.” With the doublespeak tendencies of this government, you know that can’t be good. You’re right! It’s beyond not good – it’s absolutely awful. Please contact your representative RIGHT NOW and ask them to vote NO! 1) Massively expand the size of logging projects that are “categorically excluded” under the National E nvironmental Policy Act (NEPA) up to 30,000 acre timber sales. Why is this a big deal? NEPA requires that all projects that may significantly impact the human environment undergo environmental review, and that the public can comment on this review. Certain projects that have small impacts on the environment are “categorically excluded” from analysis – things like creating trails, maintaining utility lines, logging less than 70 acres of live trees or 250 acres of dead trees. Massively increasing the size of timber sales excluded from environmental analysis prohibits both the agency and the public from making informed decisions about project impacts. 2) Undercut the Endangered Species Act (ESA) by removing the requirement that the Forest Service consults with the Fish & Wildlife Service on projects that may adversely affect an endangered species. So what? The ESA requires that the Forest Service consults with the experts before they harm threatened or endangered species and receive direction on ways to minimize the impacts. The bill would replace this with “self-consultation,” meaning the Forest Service would no longer be accountable to the agencies that enforce the ESA. This eliminates a key protection and could increase the rate of decline of the Northern Spotted Owl and other sensitive species. 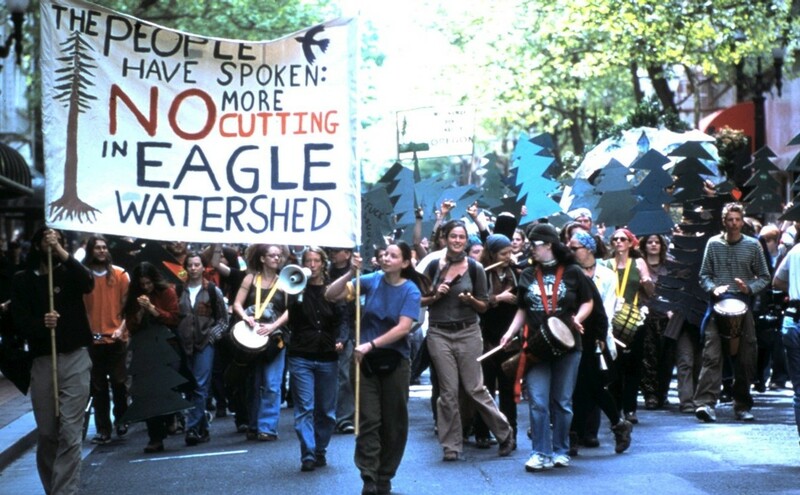 3) Severely limit judicial review of timber sales or other commercial extraction on federal land by eliminating the ability to enforce compliance with the Forest Plan, restricting the ability to halt a project during a legal challenge, and preventing attorneys from recovering fees if they win. This is even worse than it sounds. Currently, all management activities on Mt. Hood National Forest are governed by their Forest Plan – which is outdated but still really important! Under the new law, if the Forest Service planned an action that violated its Forest Plan, no one could challenge that in court. If the project violated other laws we could get into court, but the new bill would prevent the court from pausing the project during the case – meaning that if we won, the forest would already be logged. Finally, under the Equal Access to Justice Act, if a public interest group like Bark sues the government and wins, the government pays attorneys’ fees. This is essential to support public access to the legal process. 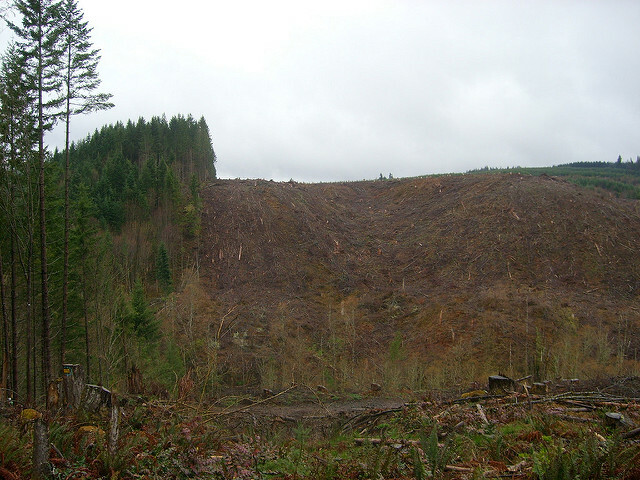 The new law singles out timber sale lawsuits to prevent fee recovery. These are just a few examples of the ways the Resilient Federal Forests Act would undermine laws and regulations to usher in a new era of #lawlesslogging. As someone who joined the forest protection movement after the Salvage Rider of 1995, I remember what happened when Congress took away the ability to enforce environmental laws. Old trees were on the chopping block and the only way to stop them was to climb up into the canopy and to organize on the ground. As exciting as those days were, I’d rather be working with you to create an awesome new Forest Plan for Mt. Hood than block roads and feller bunchers with my body! Contact your Representative today and tell them to OPPOSE the Resilient Federal Forests Act and to protect our public lands with vigor.